Our Merlot has been hand picked, hand plunged during fermentation in open fermentation vats. 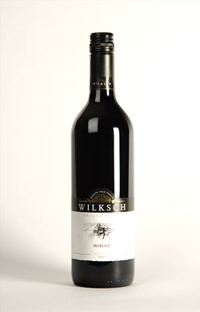 It is then transferred into oak barrels for a further 15 months maturation before bottling, we have used screw cap closures for freshness and convenience of use, to produce this medium to full bodied enjoyable red wine. Best served at room temperature of approx 20 degrees, an ideal partner for Roast Pork and plum sauce dishes.